Ephemeral content is huge these days, with Bloomberg reporting that over 10 billion 10-second “snaps” are viewed on Snapchat every 24 hours. That’s why Instagram, the #2 social media network, recently copied the #3 social media network with its roll out of Instagram Stories [see how it works here]. Some content marketers have stayed away from Snapchat due to the resource drain of staffing a new distribution platform, especially one that demands temporal content that can’t be utilized elsewhere. Others have simply found Snapchat to be too young demographically. The early adopters of Instagram Stories were a notable (and disparate) assortment of brands — Nike, Mountain Dew, J.Crew, Taco Bell and Mercedes-Benz, to name a few. 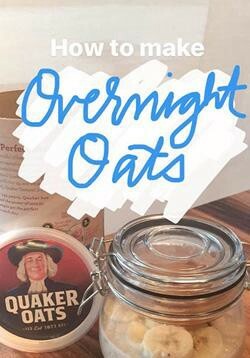 One of the first to take advantage was Quaker Oats, who published a 10-step visual recipe within hours of Instagram Stories going live. Based on content that had already appeared on their site — as well as Pinterest and Facebook — their initial effort garnered 2,527 views within the first 12 hours, something Quaker was pleased with given there there was no paid promotion. What Quaker did is a strategy any brand with a deep library of content can adopt: use Stories to increase the ROI of existing assets. Practically any creator of how-tos or other tutorial content can re-purpose written instruction by taking snapshots of a live demo. In addition to inviting followers to see what’s on the menu at their SoHo cafe, Chobani could’ve shown them how to make the inspiration dishes with step-by-step instructions pulled from their recipe archive. Similarly, L’Oréal could’ve done more than just tease its forthcoming line of “Voluminous Feline” mascaras, it could’ve also presented a quick rundown of its August tips and tricks post. I’m just getting started, too. Imagine what companies like The Home Depot and Lowe’s could do. Regardless of what you create, there’s a secret advantage to Instagram Stories. For those who were hurt when Instagram killed organic reach, Stories offer brands a workaround. Unlike a photo or video that (sometimes) appears in the feed, Instagram Stories appear in a space above the feed, offering premium placement for no additional cost. So if you’re looking for ways for your brand to be top of mind, take action now and get your content at the top of the app. Working with content you already have is sure to help with expediency. Note: Since I originally wrote this last year, Instagram’s parent company Facebook has launched a similar feature called Facebook Stories.